A third eye is like an invisible eye only you know about it! When this is opened, you suddenly have the ability to see and predict things that are not seen in the physical realm. One thing you need to know about the third eye is that we naturally have it, which means that we all have the potential to acquire this power but we just haven’t figured out know how to use it. While I'm not going to say I understood everything I listened to, I learned enough to want to learn more. It's a great start. Thank you for opening my eyes (see what I did there, lol) to a Chakra I want to learn more about. This is a fairly in-depth look at what the third eye is and how to develope it. How to meditate and become more in tune with your third eye are explained with an appropriate level of detail. Personally, it was a bit too far from Western philosophy for me. I do not think that I need to spend 20 minutes watching the sun rise each morning or that my shower water needs to be filtered to remove all floride in order to develope natural intuition. Nor do I think that an undeveloped third eye leads to brain tumors. I did however appreciate the emphasise on meditation and mindfulness for a healthier mind and soul. If you are interested in learning what the third eye is, this is a quick, informative read. This is definitely the information I was searching for because it held insight AND technique examples! Straight to th he point, no fluff. 5 stars from me. I never knew there were so many "clair..." senses. This was a good general overview of the chakras and the sixth one specifically. It also includes how to use crystals, sounds, yoga, and healthy eating. I'm not sure "untold secrets" is an accurate description as much of this information has been shared in many other books. A concern I had with this audiobook was the repetition of the same information over and over. Some of it was just worded in a slightly different way. This is not a criticism of the information within. The book could have used some more editing so as not to seem scattered or unfocused. The audiobook mentions that some may need to listen to specific sound waves to help open their third eye because they are unfamiliar with meditation training. I would have liked knowing what those frequencies are, especially as quite a few youtube channels feature frequencies in their audio meditations. I had wondered what frequencies had to do with meditation so I really appreciated hearing about that. The narrator is excellent and very easy to listen to. His voice is confident and clear. The book presents as an informative or instructional work that describes the concept of a “third eye” or method of conscious awareness to events or occurrences that are not experienced in the physical or traditional scientific sense. There is much effort in teaching the ability to develop the power to enhance awareness or skill through meditation and the mind’s imagination. This is a short and easy read that manages to present information in a clear concise manner for those who wish to develop clairvoyance or an ability for prediction. I thought I had an idea about what third eye is about. This audible tells more about it and how it works. It also provides exercises on how to use it. It was an eye opener- pun intended! From my experience, non-fiction is hard to listen too. However, Leigh Adams does a great job of reading and kept me engaged. 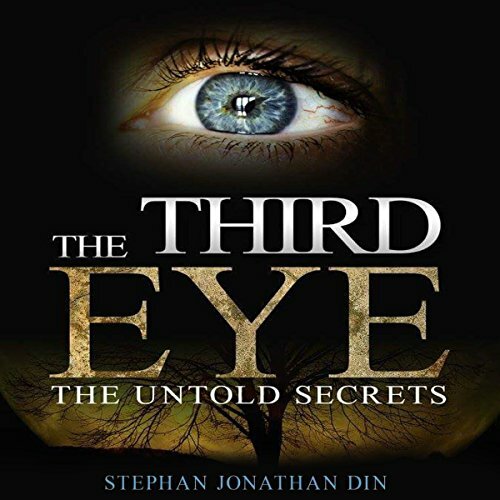 This is a very informative and eye-opening book on the Third eye. The book covers basic information on the third eye, sixth sense, meditation, and how to use it. There is something in the ability to feel, predict things. It is only 1 hr and 7 mins long so you can do some yoga, relax and enjoy the book. A third eye is like an invisible eye only you know about it! When this is opened, you suddenly have the ability to see and predict things that are not seen in the physical realm. This is a good start for those who want an introduction to the concept of meditation and the third eye. The information is very general, but specific enough to still be useful and encourage further research on the subject. I found the narration to be good as well, very even, not overly dramatic- just the right tone for something like this. I enjoyed it and would recommend it to others interested in learning more about this aspect of metaphysics. I was given this book free at my request and have voluntarily left this review. Firstly, I want to praise the excellent and steady performance by the narrator. I wanted to learn more about what is the Third Eye, how to meditate, and the theories behind it. I didn't really know much about this subject. That said, while it was an interesting story, I don't find it believable. Regardless, this was a good, quick overview of the subject. If you want to learn basically what some people believe about the Third Eye and how to access it, then this is a book for you. The offered meditation exercises are interesting and you might find them beneficial, even if you're not a believer in the supernatural. If you're a skeptic that wants a more in-depth discussion of the validity or potential science behind this theory, this book didn't cover it so well.